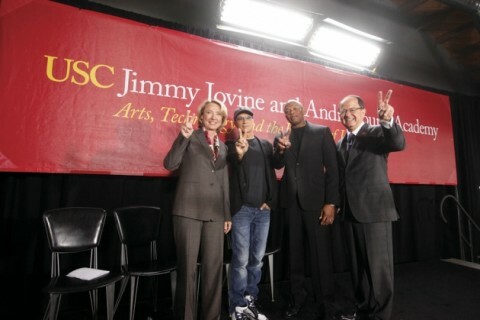 The new leader wants to help other first-generation students find their place in the Trojan Family. 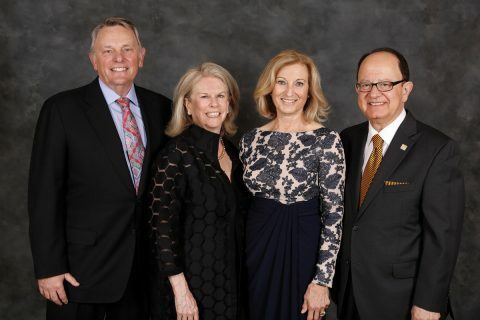 Trojan friends and family gathered to celebrate notable leaders at the 85th Annual Alumni Awards Gala. 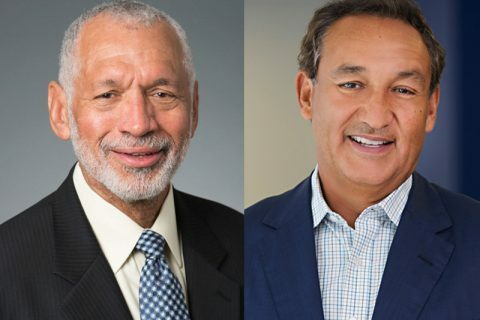 Both alumni of the university, the pioneering aviation leaders bring a distinguished history of leadership and experience to USC. 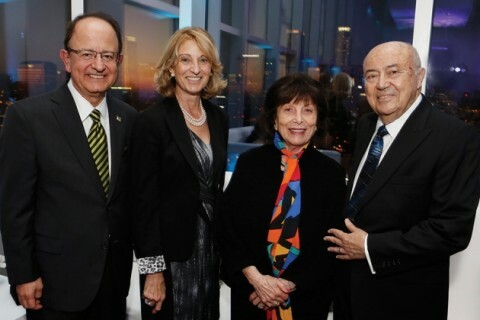 A new home for informed public discourse opens thanks to a gift from Judy and Jerry Sheindlin. 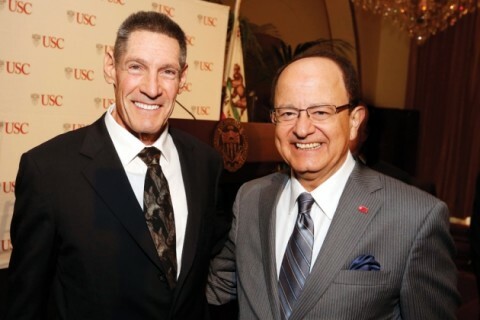 The couple’s generous gift enables exceptional student-athletes to attend USC. 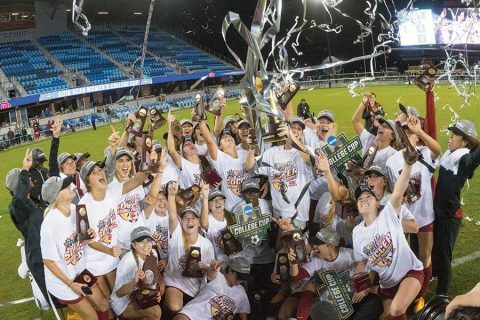 Add England to the growing list of nations hosting a USC overseas office. 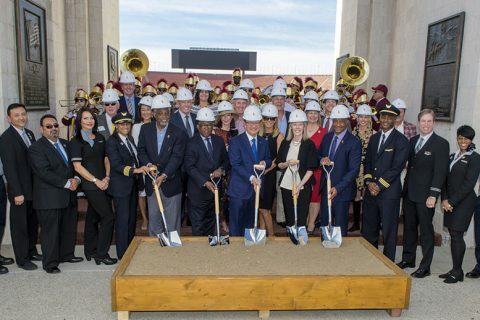 USC and United Airlines open a new chapter for the Los Angeles Memorial Coliseum. 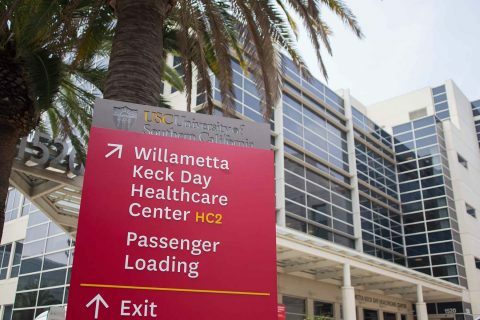 The foundation boosts its longstanding support for medicine with the Willametta Keck Day Healthcare Center. 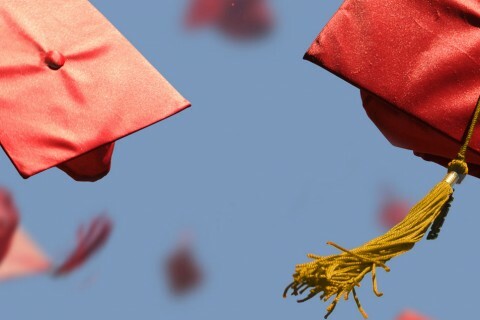 Incoming first-year students set new university records for achievement. 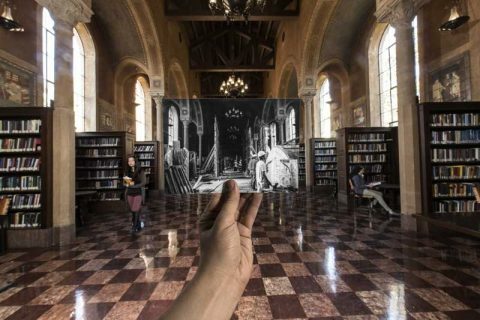 Using knowledge to inspire new thought and creativity is USC’s loftiest aspiration. 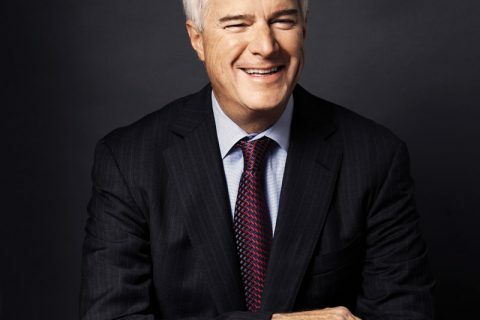 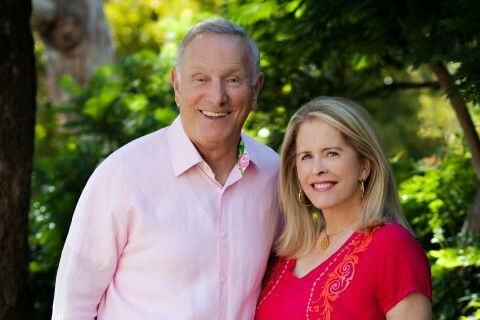 The venture capitalist and USC trustee has invested to create a better world, and he and his wife, Mary, have donated more than $100 million to grow USC. 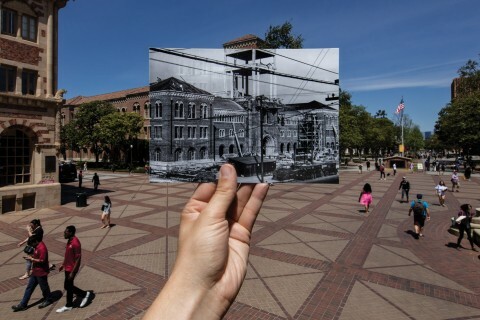 It takes a Trojan Family to build a village—USC Village, that is. 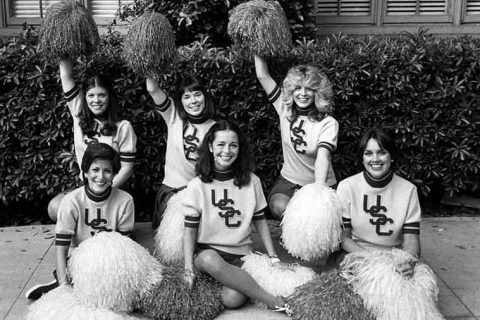 The Trojan parent has been a longtime USC Alumni Association volunteer and leader. 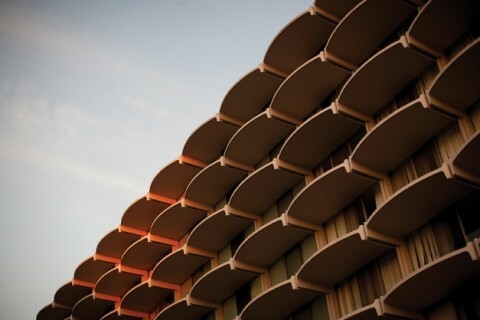 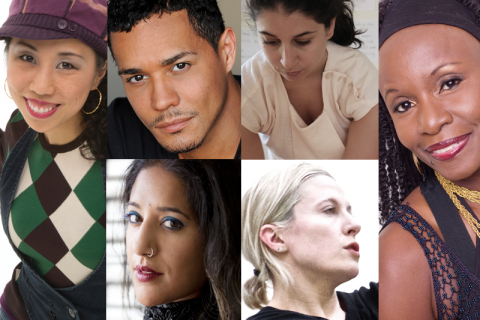 From architects to actors, visiting luminaries had memorable words to share. 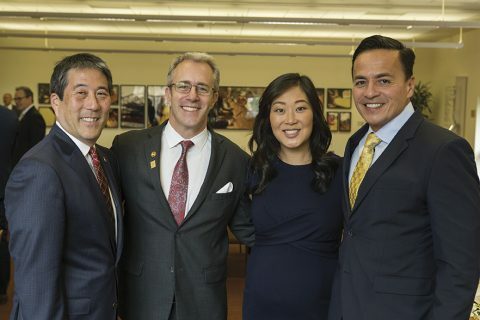 USC’s alumni association welcomes its first Asian-American female president, Jaime Lee. 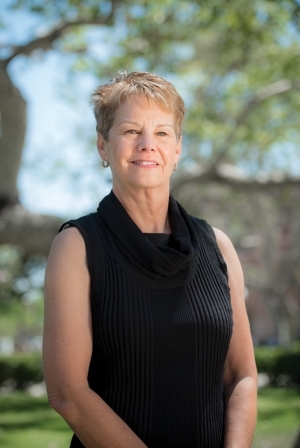 Marilyn Beaudry-Corbett, a trailblazing USC Marshall alumna, helps women pursue MBAs. 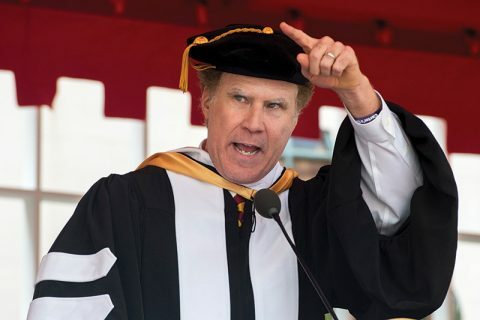 The USC alumnus and commencement speaker gave the Class of 2017 insights and laughs. 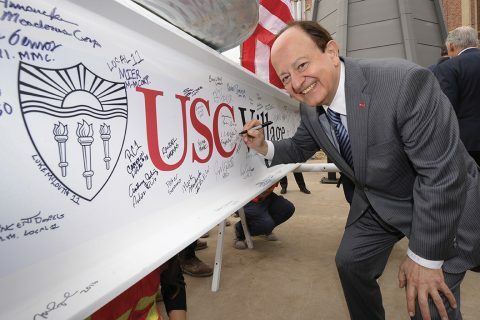 More than 9,000 students can now live in USC housing. 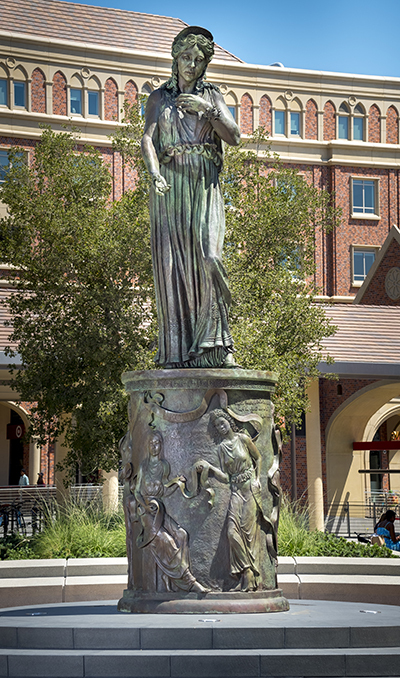 The 12-foot-tall bronze Hecuba sculpture welcomes visitors to USC Village. 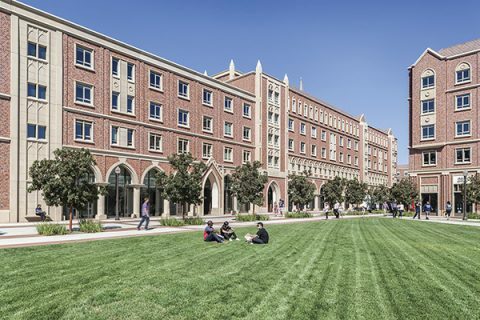 USC Village’s park-like spaces are pedestrian-friendly and perfect for relaxing. 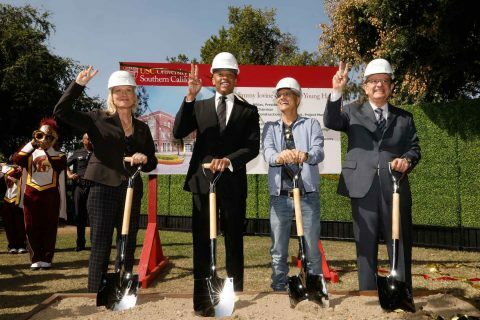 The new USC Village gym expands signature programs, including personal training and group fitness classes. 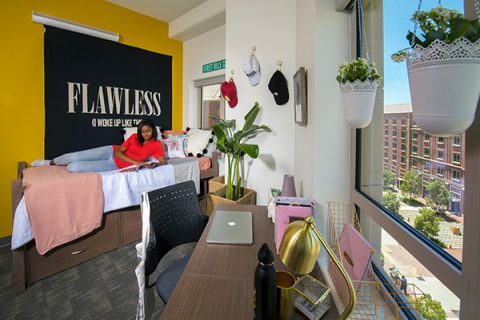 Functional and stylish furniture are just some of the comforts for students. 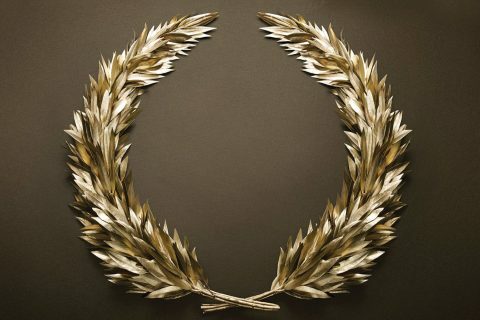 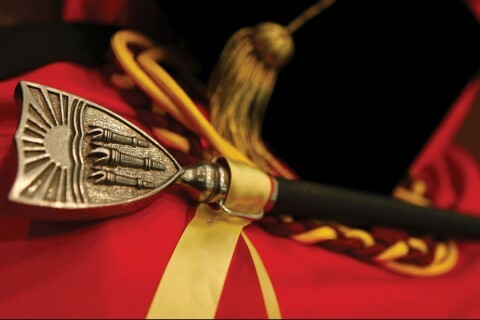 Crests harken back to the symbols and traditions of USC. 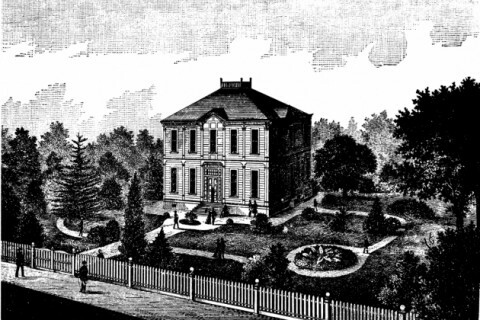 Nearly 600 of the nation’s brightest students live at the unique residential college. 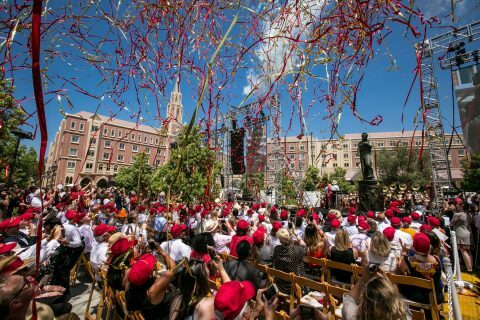 The grand opening of USC’s largest residential living complex opens new chapter of student life. 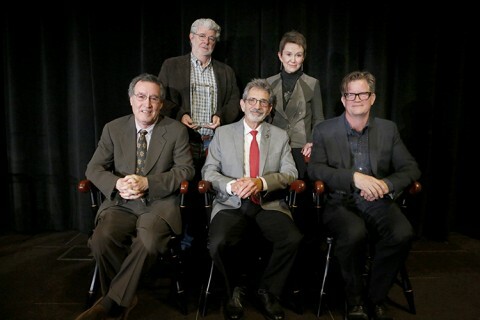 Veteran leaders join USC Annenberg and the USC School of Architecture. 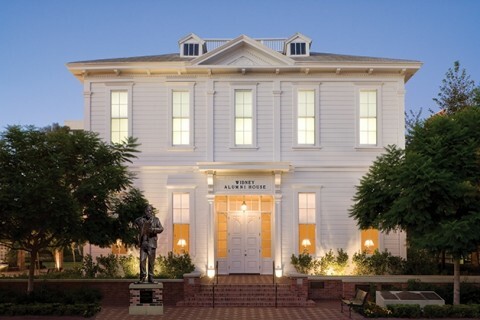 Glorya Kaufman’s lifelong passion inspires the launch of USC’s newest art school. 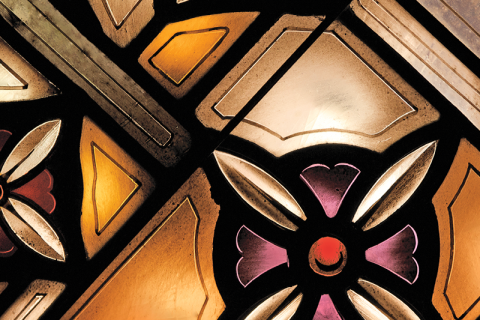 In redoubling our efforts, USC accelerates vital progress toward our goals. 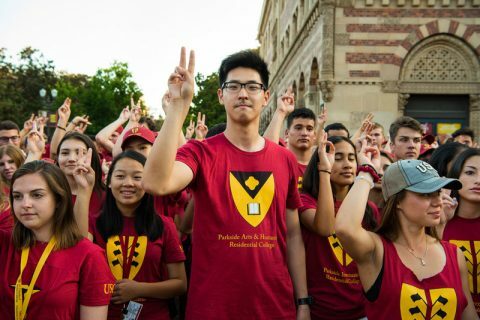 For a quarter century, USC Lambda has championed diversity and inclusion. 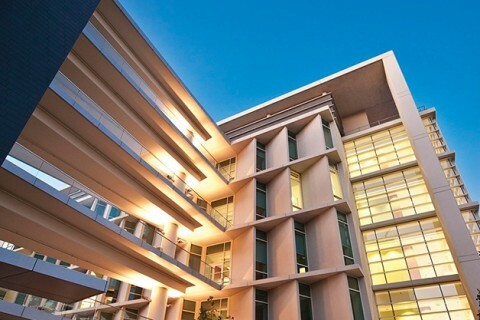 Updated patient, research and residential facilities are just a few of the improvements. 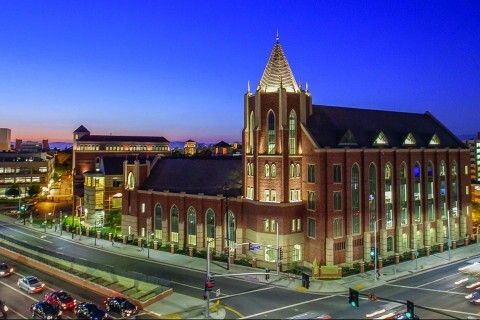 Cale Residential College opens at USC Village this August. 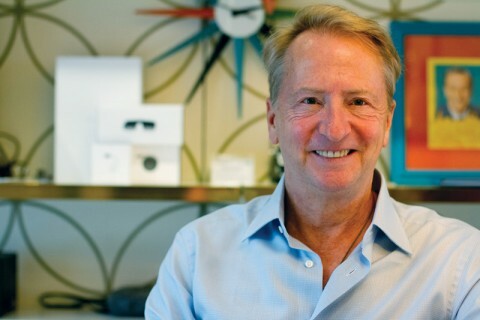 Ryan ’77, JD ’80 brings decades of experience as a media entrepreneur and adviser to the USC Board of Trustees. 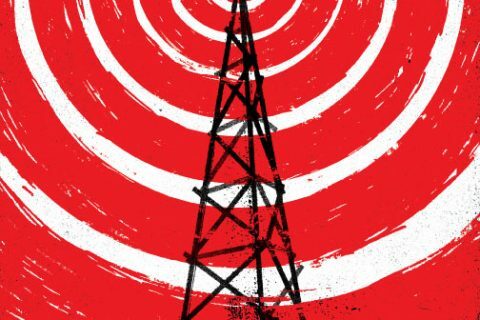 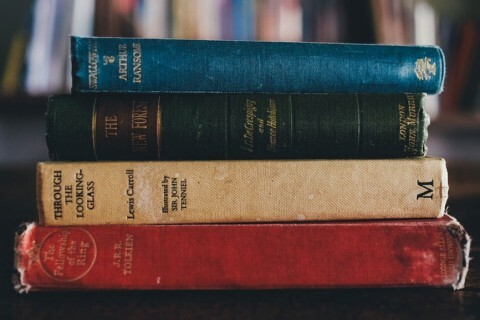 Can Journalists Help Readers Navigate the Changing Media Landscape? 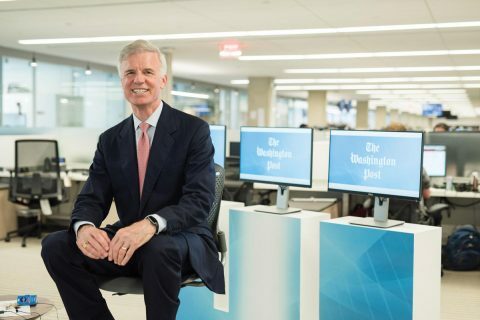 As the media industry copes with fake news, journalists still relish the chance to tell stories that matter. 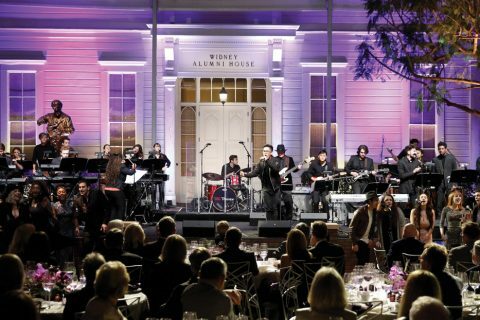 The university raises $6 billion ahead of schedule—so leaders refocus on grander ambitions and extend the record-breaking fundraising campaign. 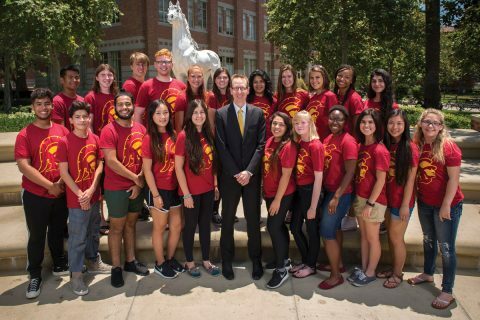 USC’s specialized summer classes make the transition to higher education a little easier. 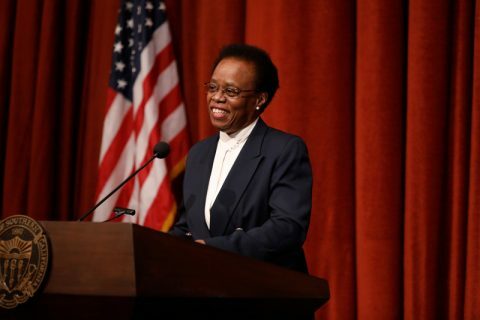 Meet the dynamic women who joined USC’s governing board last fall. 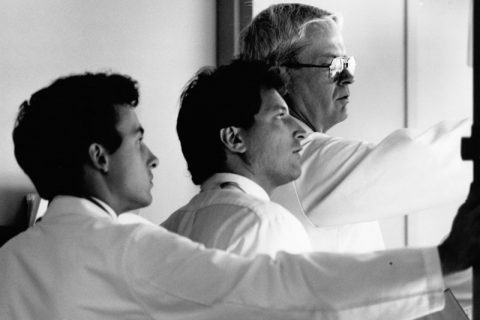 Donors see giving pay off through opportunities for students to learn from top faculty. 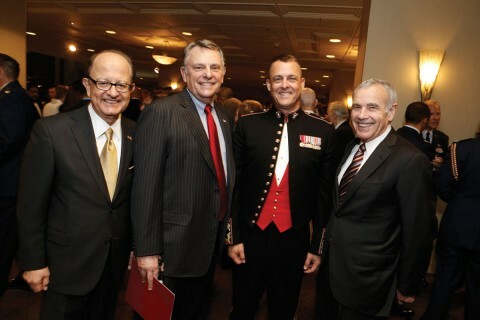 The university celebrates a century of service with the U.S. armed forces. 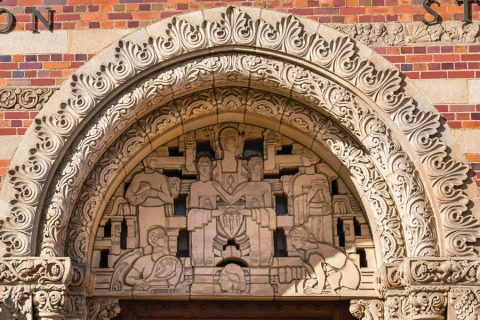 Campus Quiz: Can You Identify These Arches? 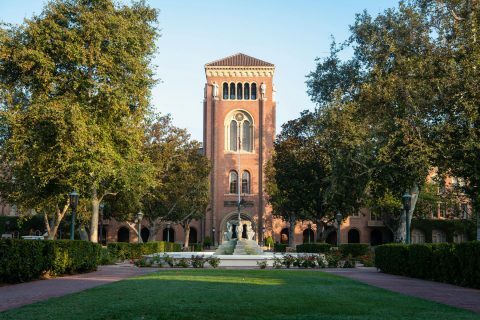 Arches and arcades abound at USC. 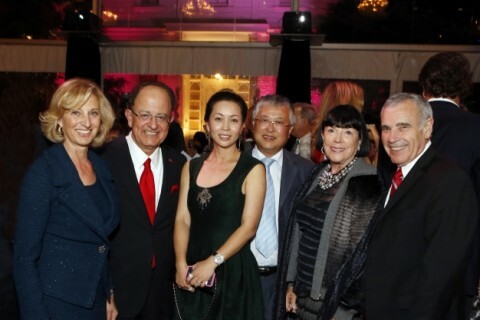 USC Marshall’s new academic hotspot opens for business thanks to USC Trustee and alumnus Frank J. Fertitta III and his wife, Jill. 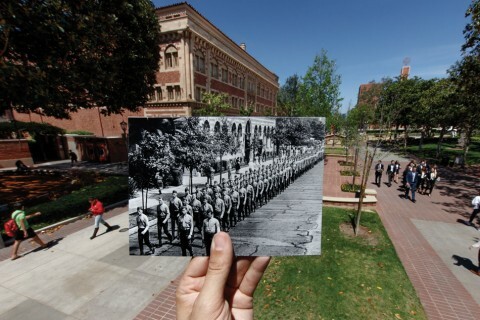 It gets tougher every year to become a USC undergraduate. 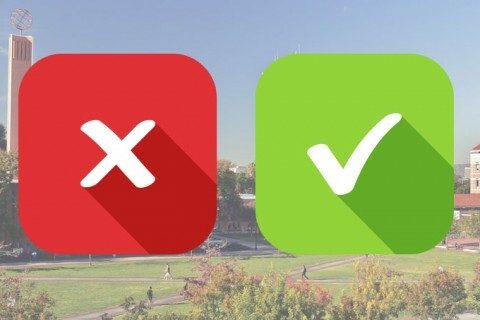 Admissions officers demystify the process. 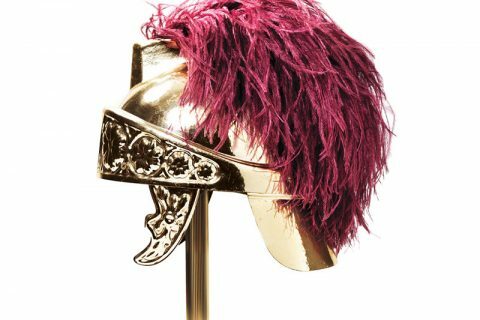 Wall Street Journal/Times Higher Education survey places USC No. 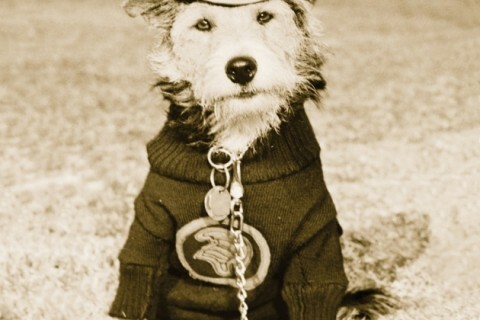 3 in the West. 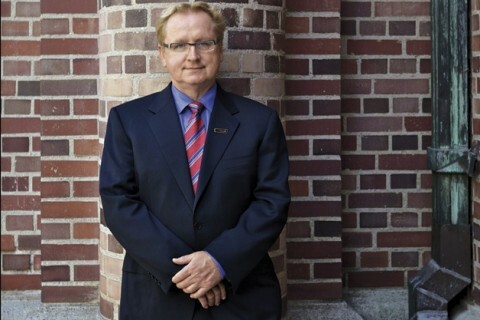 An internationally acclaimed researcher works to advance the future of health care delivery. 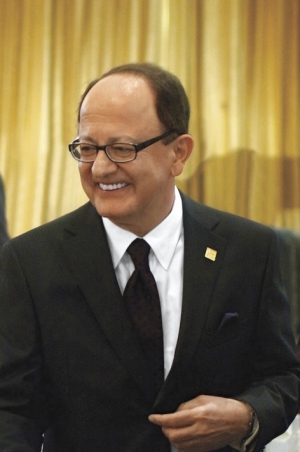 USC aims to make high-quality education possible and affordable for deserving students. 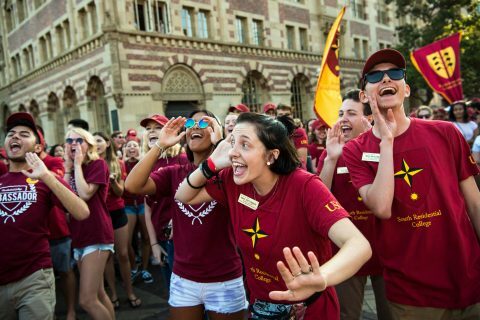 USC Admission staffers share tips to help your college application stands out—for the right reasons. 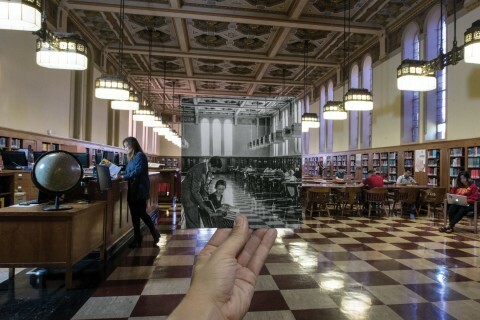 Exploring the library is a Trojan rite of passage. 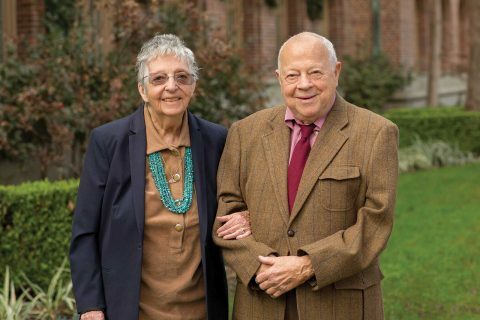 A naming gift for the USC Suzanne Dworak-Peck School of Social Work bolsters the school’s service to diverse communities. 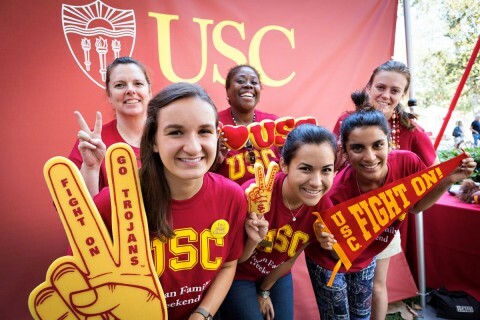 Strong support from graduates helps USC climb rankings of elite schools for alumni giving. 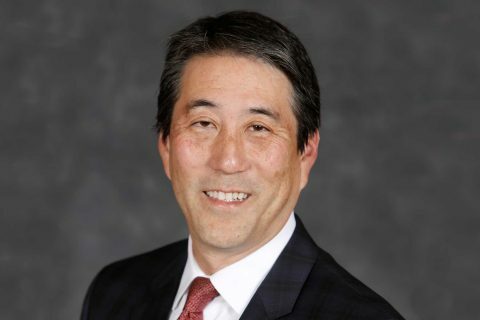 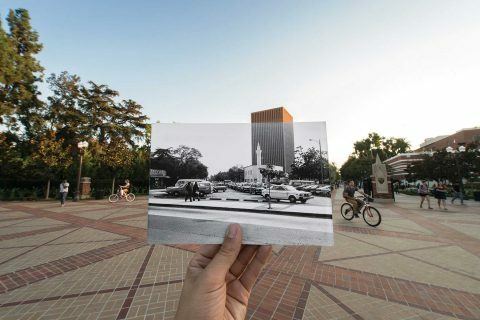 The USC Marshall alumnus encourages alumni to rediscover the university. 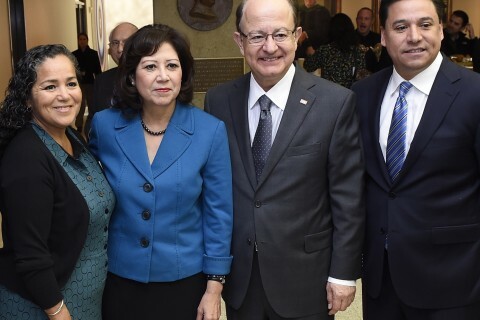 Trustees help steer the university's growth. 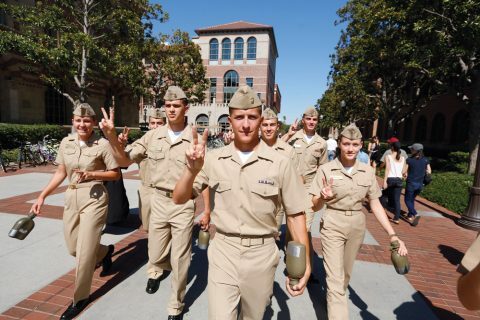 What Do Alumni Think About USC? 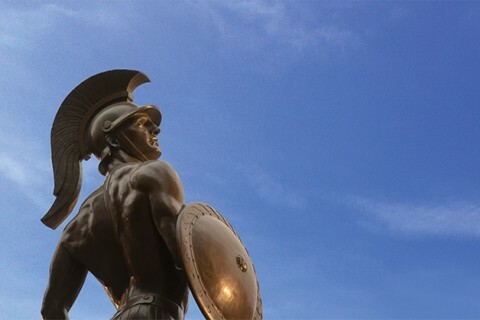 A new survey looks at how Trojans view their university experiences — and how they might forge future ones. 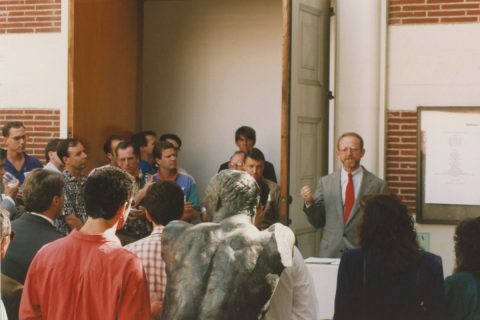 David Bohnett ’78 endows a living-learning space for students committed to social justice and service. 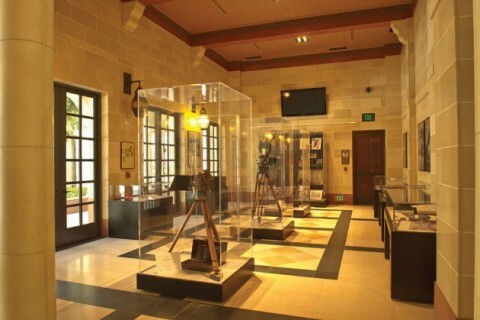 A partnership with U.S. armed forces is part of a decades-long legacy. 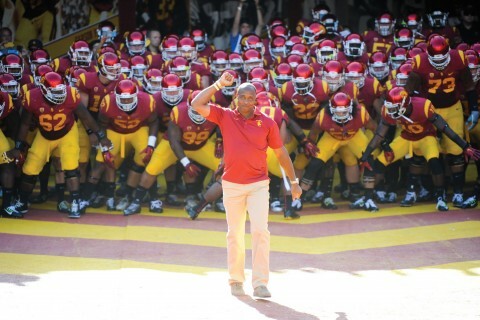 The USC Annenberg alumnus and former NFL player returns to Troy. 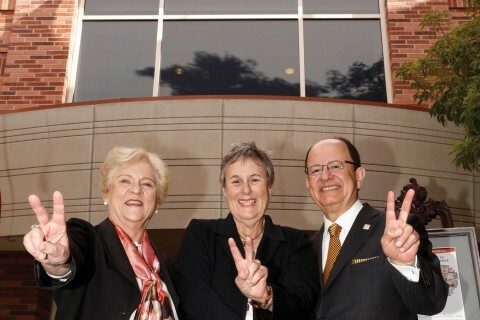 The newly named USC Roski Eye Institute advances research and treatment for visual impairments. 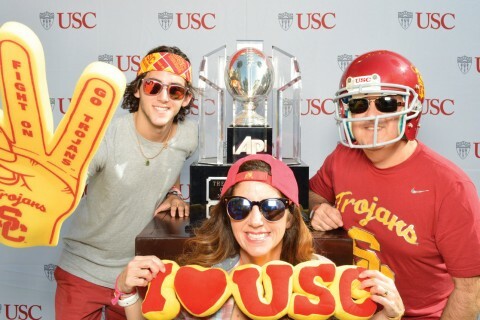 The revamped event gives parents an inside look at USC like never before. 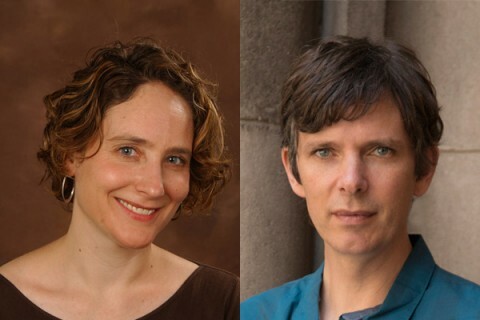 A physicist and a performer take the helm at two major programs. 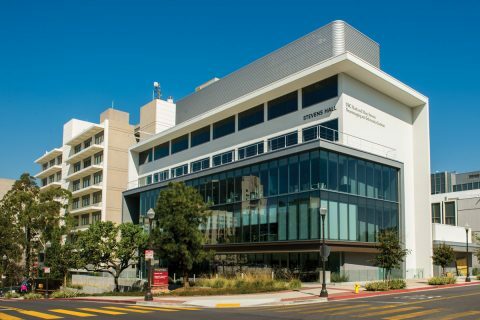 Top-ranked USC Viterbi is one of the most female-friendly engineering schools in the country—and it’s no accident. 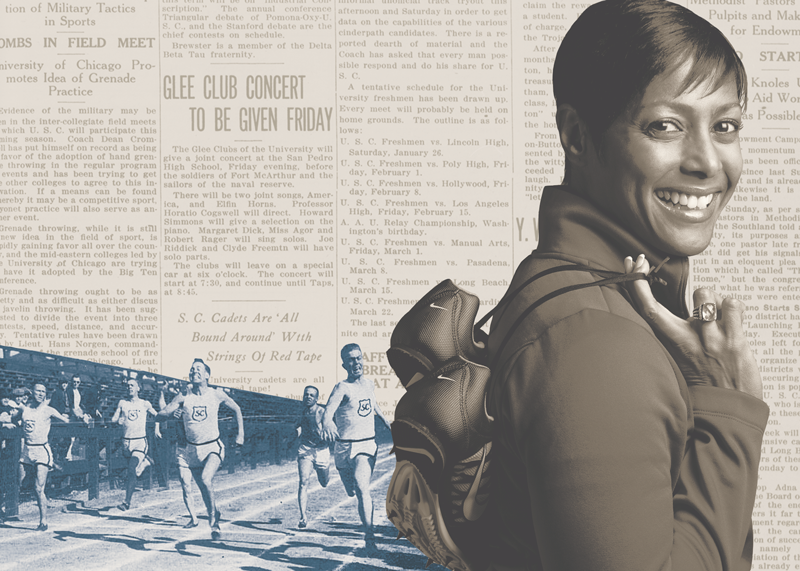 Meet four USC educators and researchers whose pasts motivate them to make a difference for others. 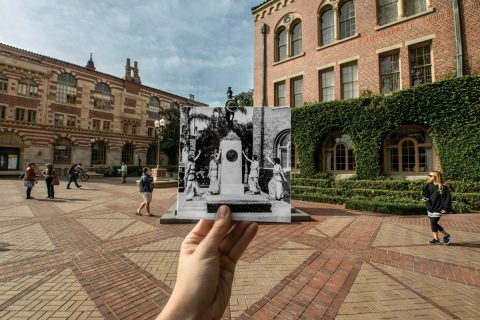 USC looks back at the contributions and influence of the university’s 10th president. 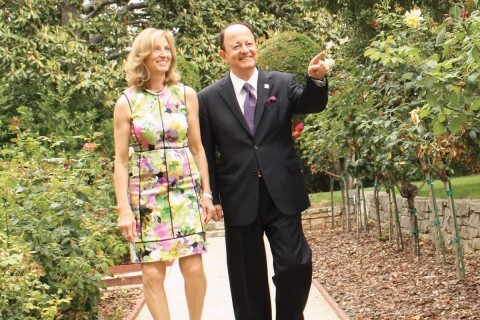 His $15 million gift brings upgraded spaces to USC Leventhal. 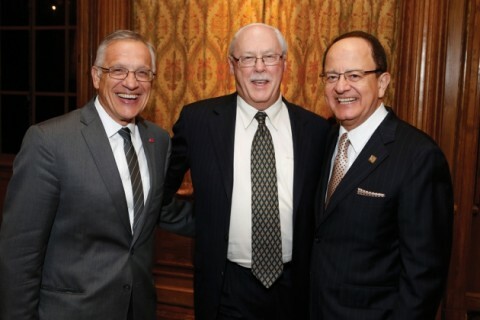 A visionary gift from Steven and Alexandra Cohen brings much-needed mental health services to veterans. 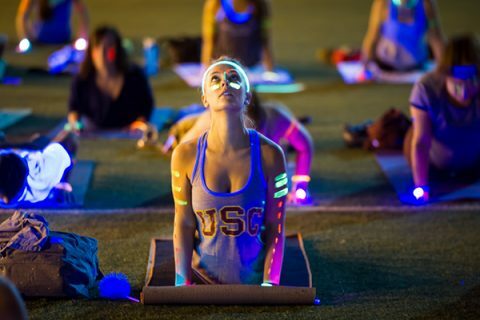 Alumni, parents and friends find their own unique ways to help students attend USC. 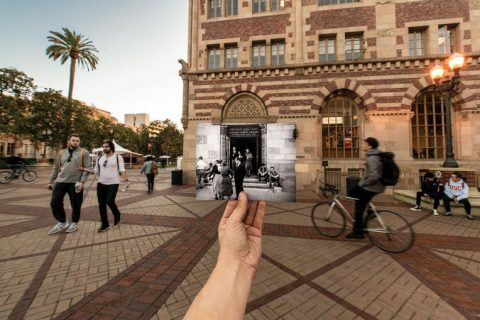 The Bovard Administration Building has stood at the heart of the University Park Campus for 95 years. 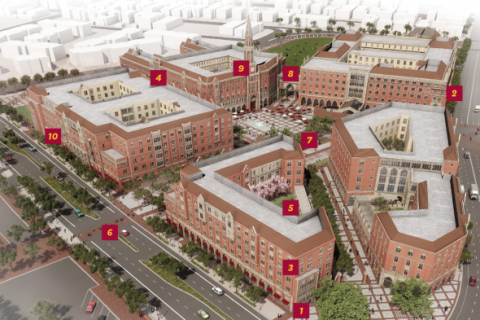 New buildings are coming to the USC's campuses — what's new? 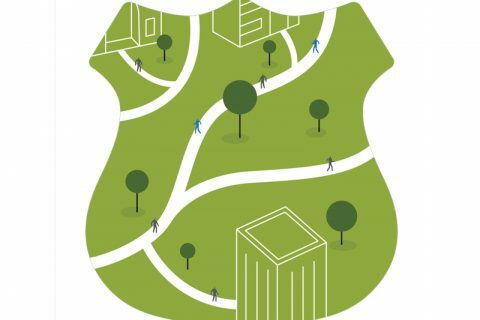 The university takes big strides in sustainability across the campus. 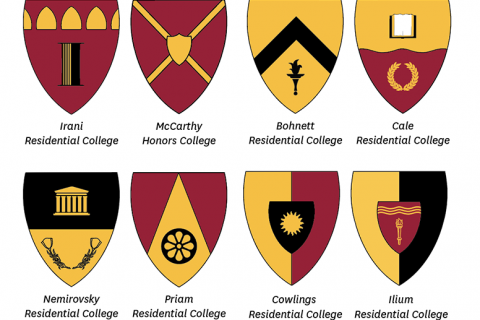 USC’s residential colleges are given crests that reflect their unique qualities. 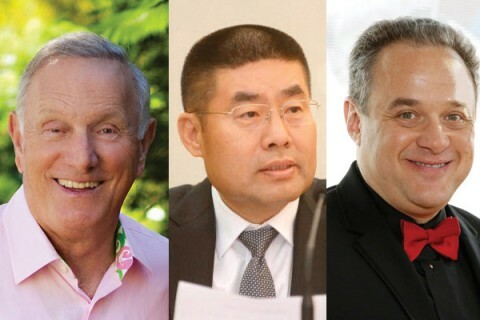 The USC Board of Trustees welcomes three USC alumni whose backgrounds span from banking to the lab bench. 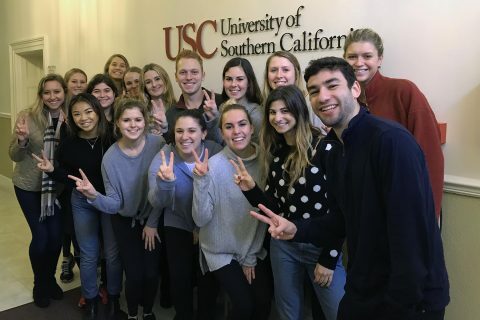 In USC classrooms, offices and labs, funds from the Campaign for USC are paying off in great teaching and influential scholarship. 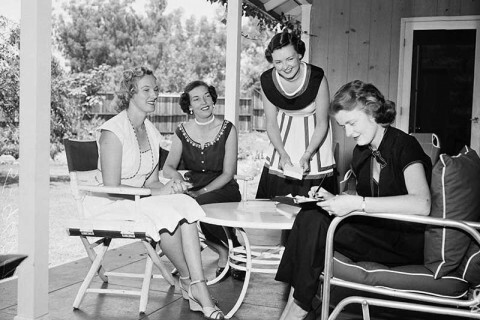 The oldest women’s philanthropic association at USC celebrates its 110th anniversary. 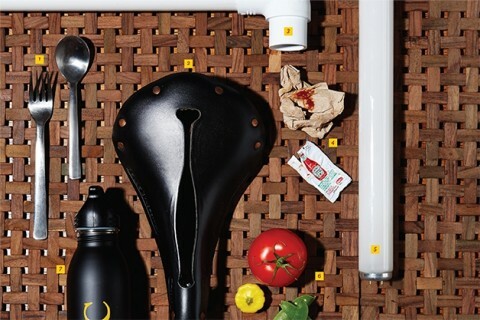 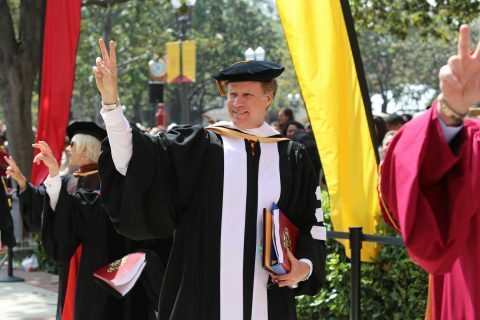 In this Q&A, USC’s academic leader has advice for students, a vision for the university—and a foodie side. 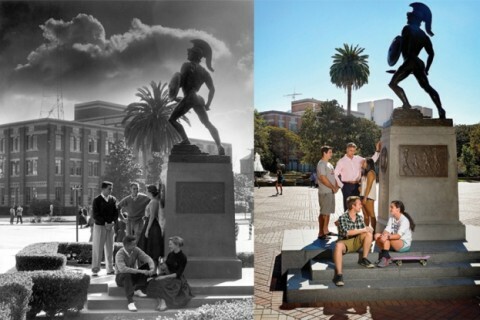 Students from the 1940s and 2010s meet at the same spot: USC’s iconic Trojan Shrine. 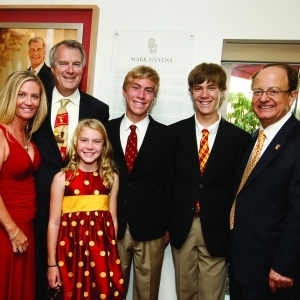 Trustees and their families see the impact of donating to USC’s health research. 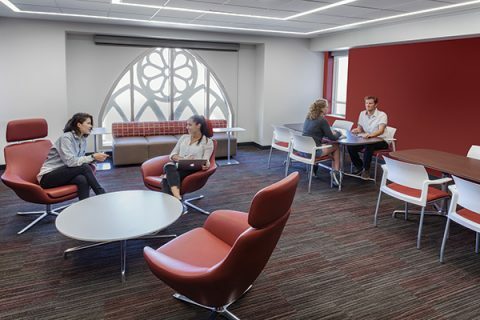 These new buildings will become the spots where students will learn, perform research and meet their new best friends for life. 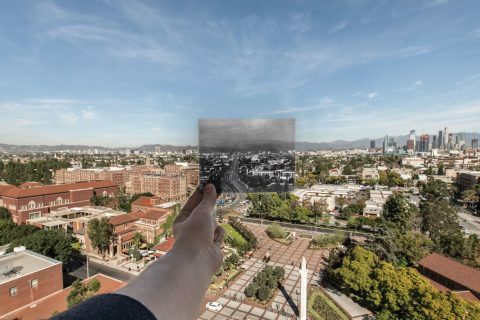 Before electricity, paved roads and cars arrived in the frontier town of Los Angeles, there was USC—a single two-story building on uncultivated land. 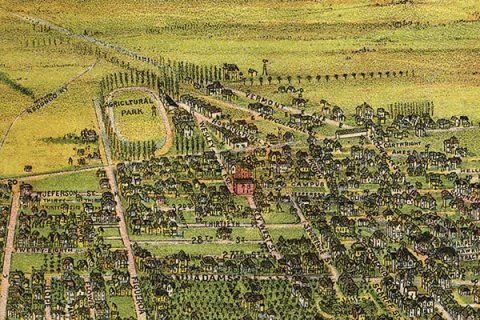 How far the University Park Campus has come. 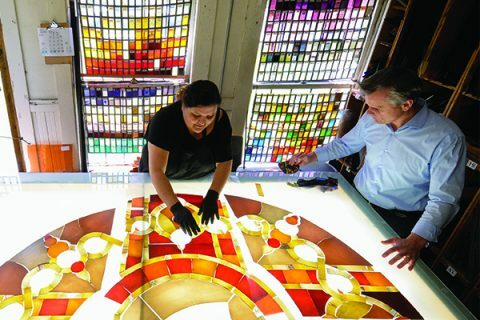 Our campaign advances academic excellence that touches all sectors of society and improves lives, while cementing USC’s position among the world’s top research universities. 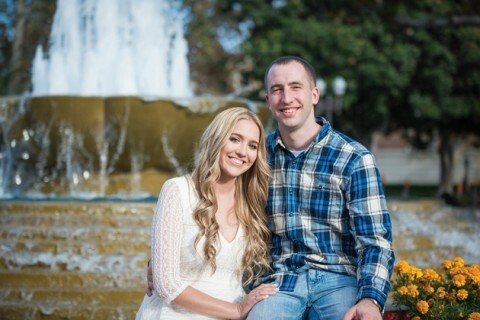 A Navy veteran completes his degree thanks to the support of donors who care. 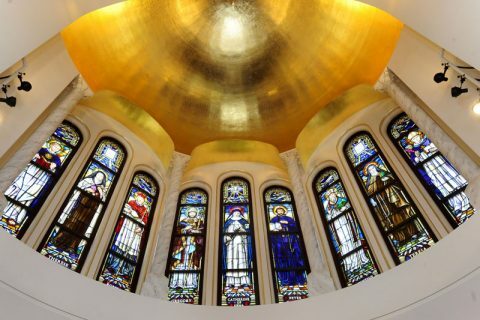 Our trustees continue to step forward with transformational gifts, contributing nearly $1 billion so far to the campaign. 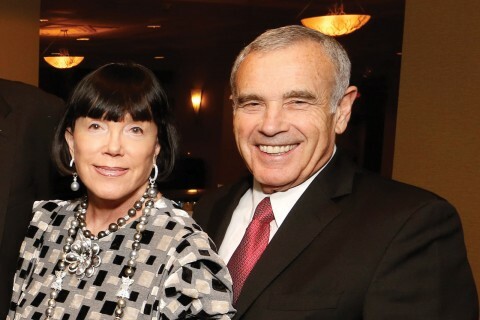 Kathleen McCarthy’s philanthropy will touch generations of students, and represents a remarkable investment in their future success. 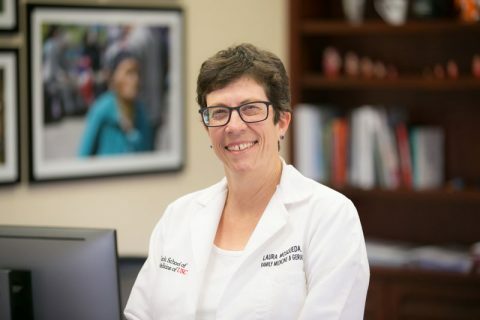 From developing cancer diagnostics to serving as president of the USCAA Board of Governors, Amy Ross finds ways to help others. 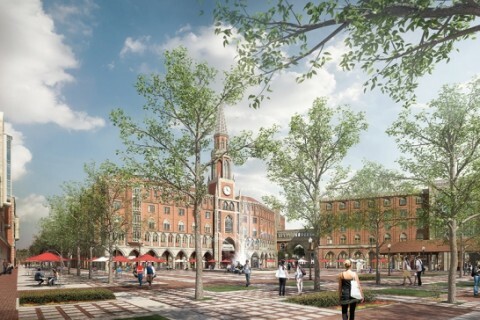 New buildings and amenities will connect seamlessly with the existing University Park Campus. 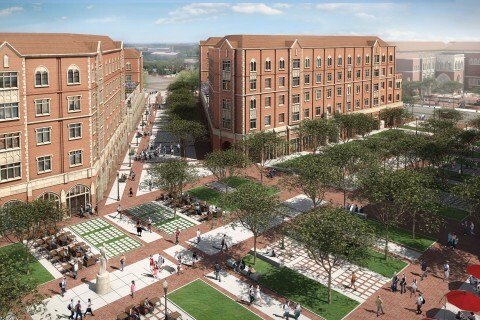 A new residential complex will reshape how generations of Trojans live and learn on campus. 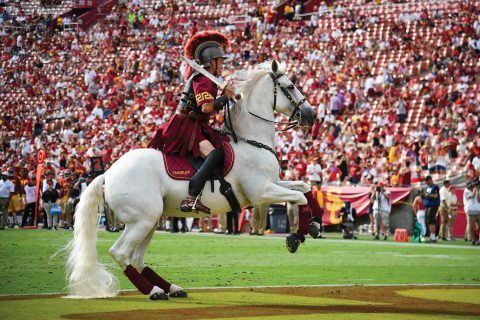 Two and a half years after the public launch of the Campaign for USC, the Trojan Family has already pushed USC more than halfway to its target. 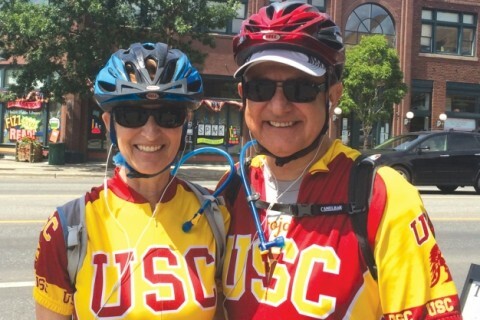 USC provided the tools to success for Daniel J. Epstein ’62, whose Trojan spirit makes him a natural for the Asa V. Call Alumni Achievement Award. 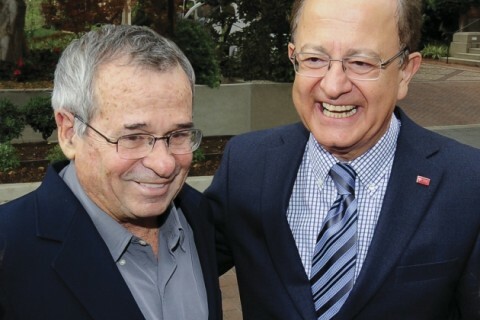 Arieh Warshel’s Nobel prize win celebrates his lifetime of work—and USC’s longstanding investment in science and technology research. 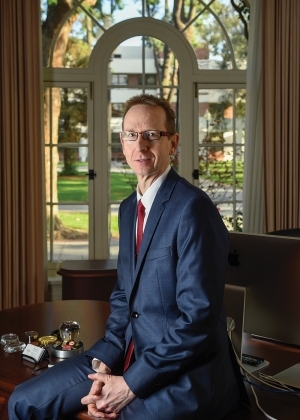 Gary Michelson advances the university’s efforts to fast-track detection and treatment of diseases. 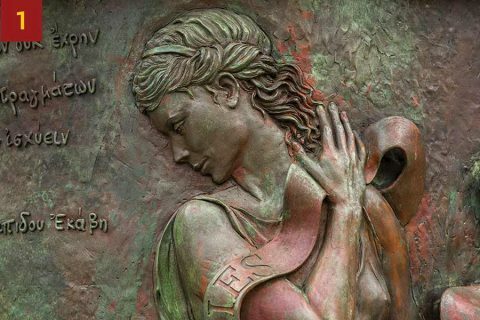 We will prepare stellar artists to be effective entrepreneurs and singular businesspersons to be great artists. 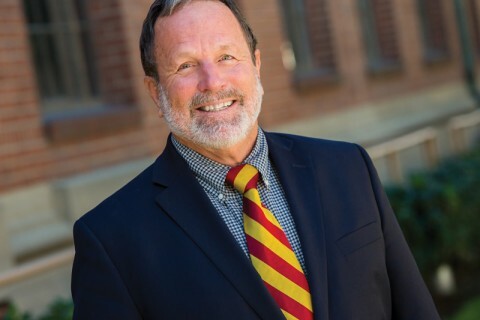 Dean Steve Kay talked with USC Trojan Family Magazine about his new role and USC Dornsife’s future. 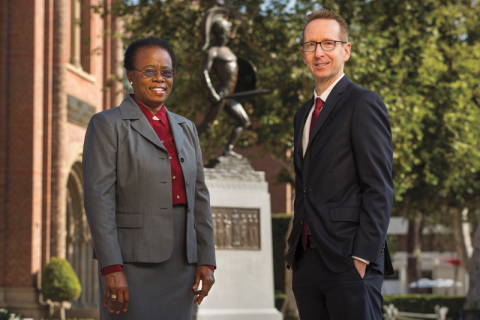 Online learning uses technology to bring a USC graduate education to more students than ever. 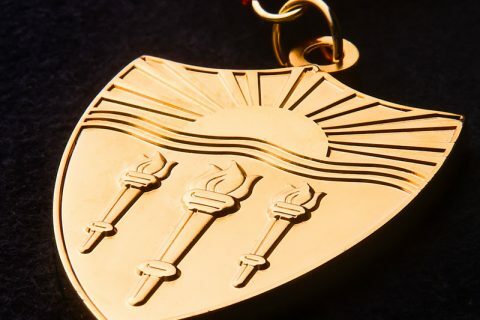 The Widney Society recognizes the generosity that drives the Campaign for the University of Southern California. 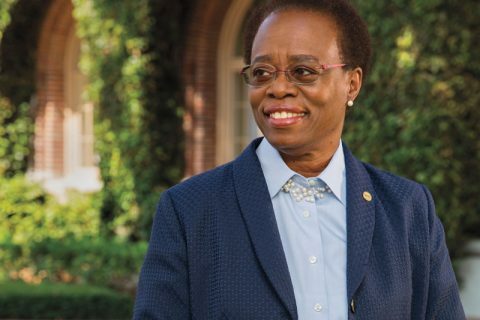 Taking time to encourage others is part of USC’s culture, says interim President Wanda Austin. 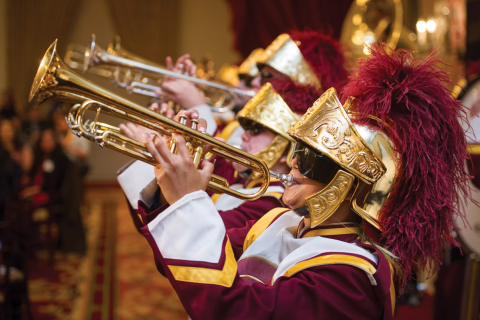 USC’s fundraising effort reshapes the university, boosting student scholarships, research, academics and more. 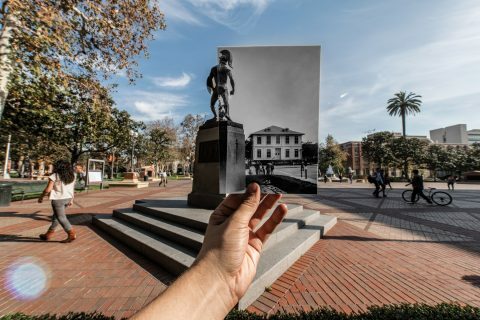 The USC Department of Public Safety offers several initiatives so that Trojans can help themselves, and each other, stay safe. 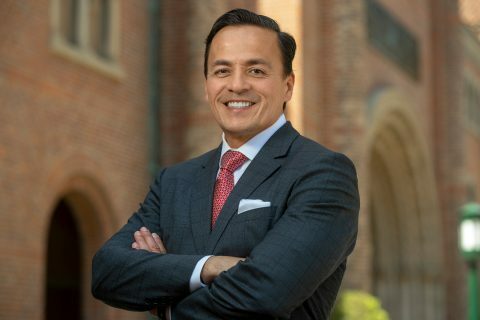 “I can think of no higher honor in the field of education than being able to give back,” says Rick Caruso. 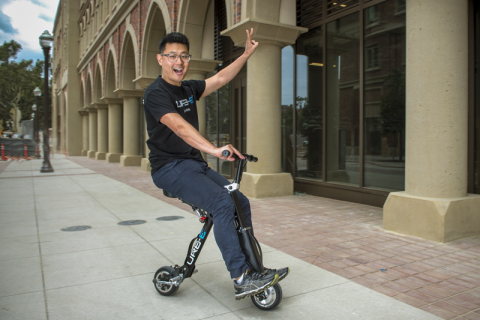 Whether you’re looking for an iced latte, tasty bite or a fast way to get across campus, USC Village’s Trojan-owned business have you covered. 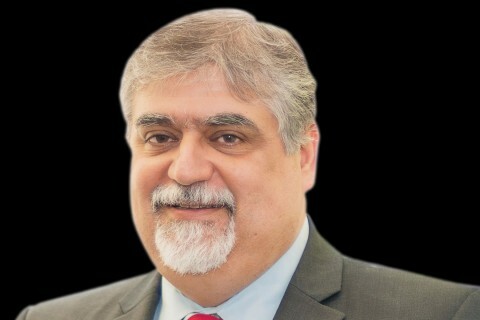 Countless men and women sent him thanks. 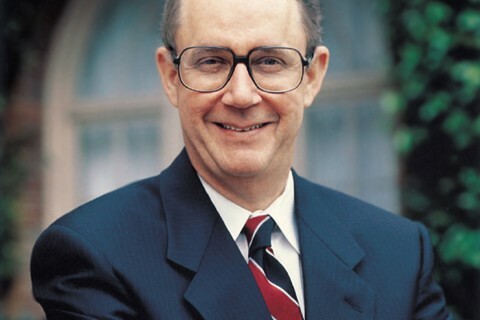 Urologist Donald Skinner paid their generosity forward. 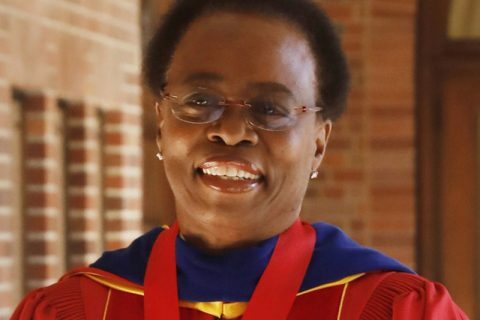 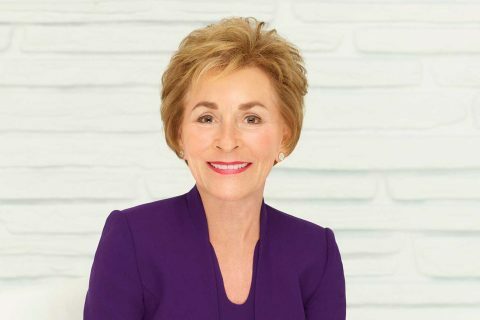 The successful businesswoman shares her vision for change as the university moves forward. 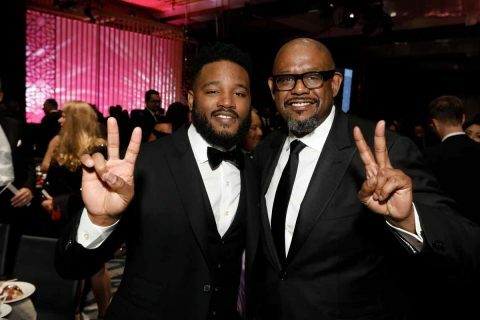 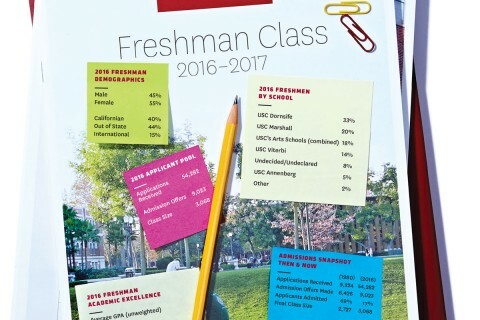 Who Was Accepted Into USC’s 2018 Freshman Class? 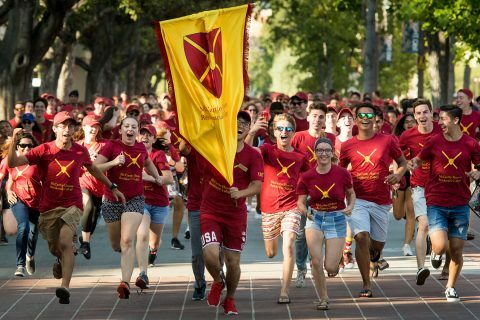 USC draws a record number of diverse applicants for the 2018 freshman class, including first generation, SCion and military family students. 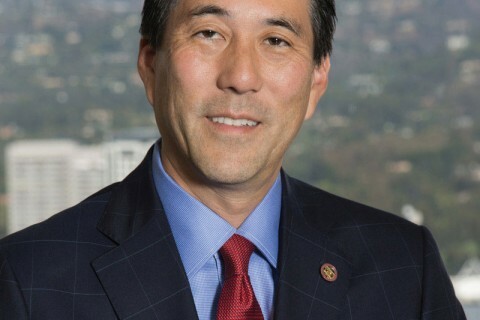 As a dedicated member of the Trojan Family, the longtime USC trustee believes in the USC community’s ability to withstand and transcend challenges. 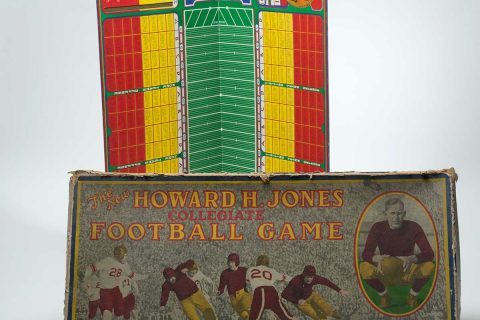 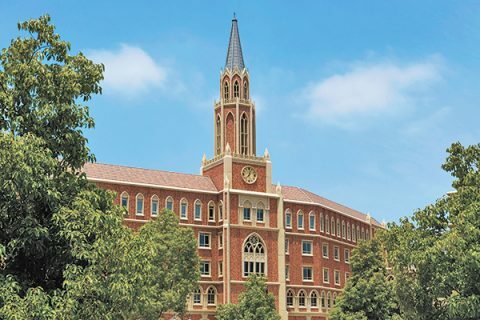 11 USC Campus Flourishes — Can You Locate Them? 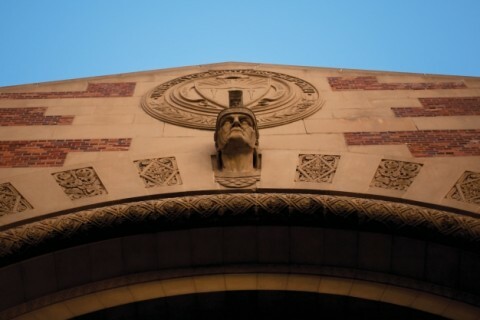 Architectural flourishes abound at USC buildings on the University Park Campus. 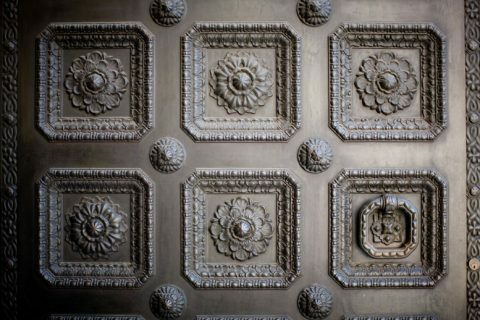 Can you guess where these campus snapshots were taken? 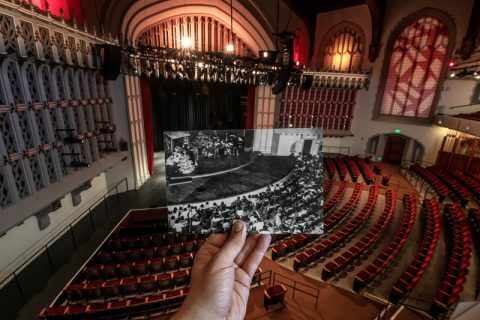 The beloved auditorium has been a centerpiece for the Trojan Family for nearly 100 years.